Taken on Jun. 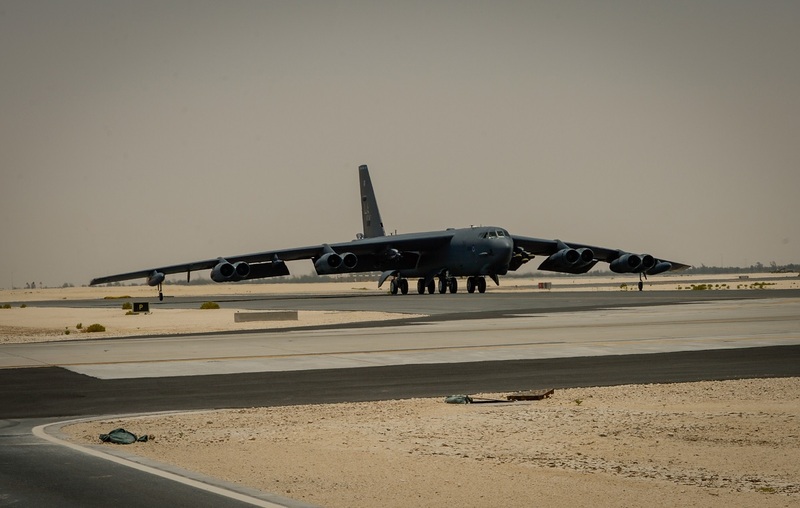 16, 2017 the photos in this post show a B-52 Stratofortress from the 23rd Expeditionary Bomb Squadron (EBS) landing and taxing at an undisclosed location in Southwest Asia after a mission in support of Operation Inherent Resolve (OIR). Noteworthy this mission marked the first successful combat sortie for the 23rd EBS on their 100th anniversary. 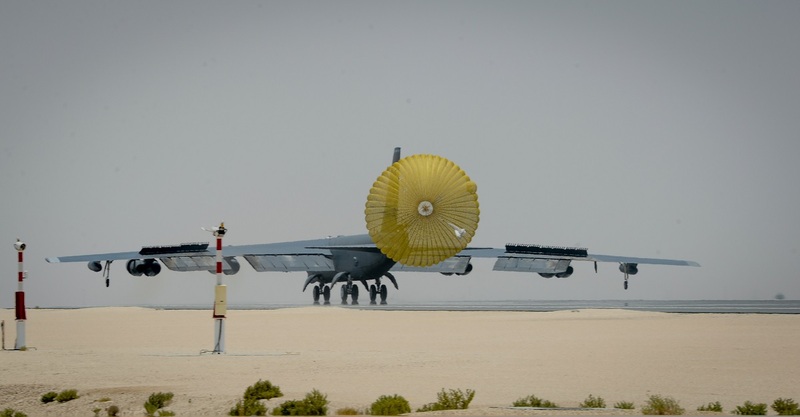 The mission also garnered a milestone for the squadron with 400 successful combat sorties with zero maintenance issues. 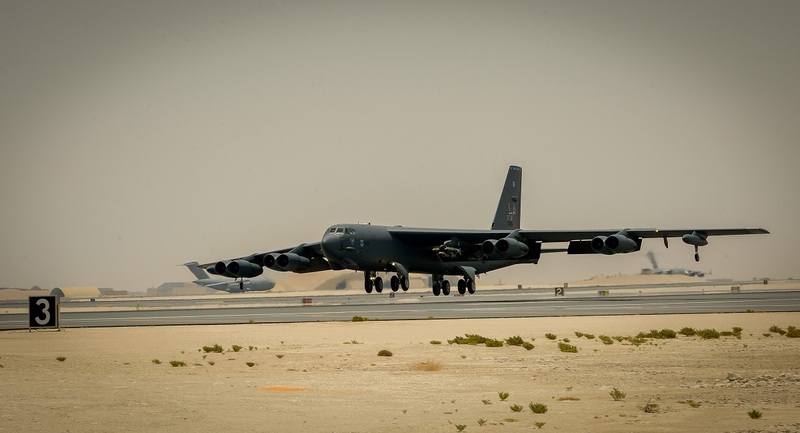 Noteworthy the unit completed conversion to B-52 bomber aircraft in 1959 at Travis Air Force Base (AFB) and in the same year the Squadron provided support to Air Reserve and Air National Guard programs and participated in disaster relief and other domestic emergency programs. In Oct. 1962 the 23rd EBS played an important role during Cuban Missile Crisis by increasing bomber sorties, airborne and ground alert status. 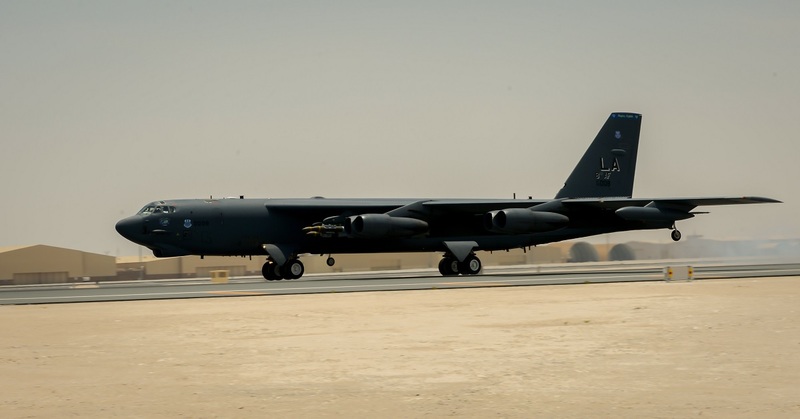 After having moved without personnel or equipment from Travis AFB, CA to Minot AFB, ND, in 1968, the unit provided qualified B–52 aircrews to other Strategic Air Command (SAC) units involved in combat operations in Southeast Asia until 1975. In 1980s and 1990s, the squadron maintained operational capabilities to conduct strategic warfare and conventional contingency operations. As Cold War ended in Sep 1991, the 23rd EBS bombers removed from nuclear alert for first time in over 25 years. 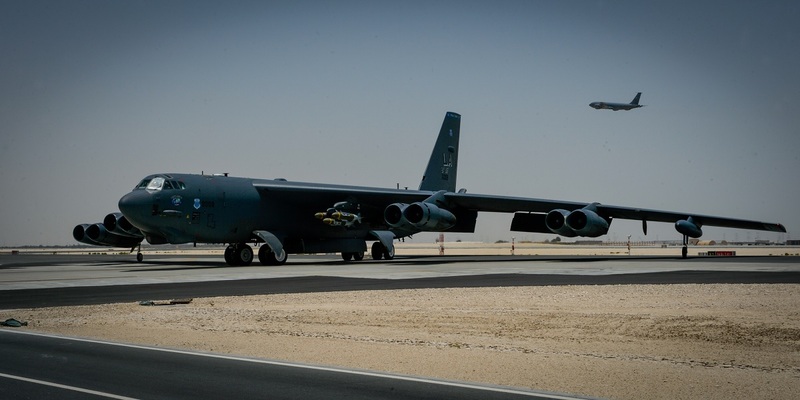 As of today the 23rd EBS maintains capability to deliver nuclear and conventional weapons worldwide flying the iconic B-52 Stratofortress.